A guide to buying your first home is an important tool to have in your arsenal when undertaking what may be the largest financial decision in your life. Once you have made the decision to buy a home, the following steps will guide you through the process. Determine your financing options and get pre-approved, not pre-qualified for a loan. The home buying process begins even before you view your first house. It is important to have your finances in line so you are ready to make an offer on your dream home. A pre-approved buyer is someone who has made application for a loan and has actually been approved subject to a satisfactory appraisal whereas a pre-qualified buyer is someone who may be qualified for a loan based on their financial information but is not necessarily approved for a loan. 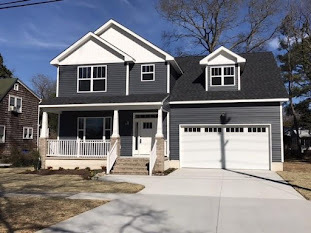 For more information about getting pre-approved for a loan read my post on Mortage Company Virginia Beach, Va.
Why work with a REALTOR® vs a non-REALTOR®? A REALTOR is a member of the NAR (NATIONAL ASSOCIATION of REALTORS®) and subscribes to its strict Code of Ethics in which both customers and clients can expect honest and ethical treatment in all transaction-related matters. It is mandatory for REALTORS® to take the Code of Ethics orientation and they are also required to complete a refresher course every four years. 2) You will get objective information and opinions. 4) You will benefit from their negotiating experience. advertising, and leverage through personal and industry contacts. As a REALTOR® specializing in Hampton Roads real estate, I will work to earn your business! 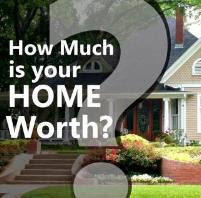 Determine Your Needs and Wants in a Home. Work with your REALTOR® to develop a list of your housing needs, things you must have in a home in addition to your wants, things that would be nice to have in a home. Drive around neighborhoods, and determine what areas you would like to live in. Consider school quality and crime rates. 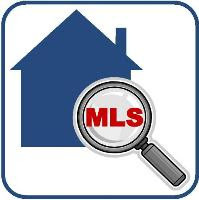 Search for properties online and view Hampton Roads real estate listings. Your agent will help you determine market conditions and gauge recent sales. Submit an Offer on the Home of Your Choice. Once you have found the best home for your needs, your agent will help you to evaluate the asking price as well as the seller’s motivation. Together you will structure an offer negotiating for the house on the best terms for you. Be prepared for counter offers and negotiations. Once your offer is accepted, your agent will coordinate with your lender, your attorney, the seller’s agent, the appraiser, and you to make sure that each party does their job so closing can occur in a timely manner. Furthermore any additional inspections will also occur at this time and any contingencies on the contract will be removed. The walk-through will occur just prior to closing and this is serves as your final -opportunity to view the home before closing. The walk-through allows you to confirm that the house is ready and that any required repairs have been completed. After a successful walk-through, then all parties proceed to the closing table!